8U Size - Eliminates Potential Tampering With Devices or Equipment. The durable steel construction features solid sides and a locking front door to keep installed equipment safe. The included set of cage nut style rails can be adjusted without having to remove nuts and bolts. The Click-N-Drop design only needs to be set and snapped into place. 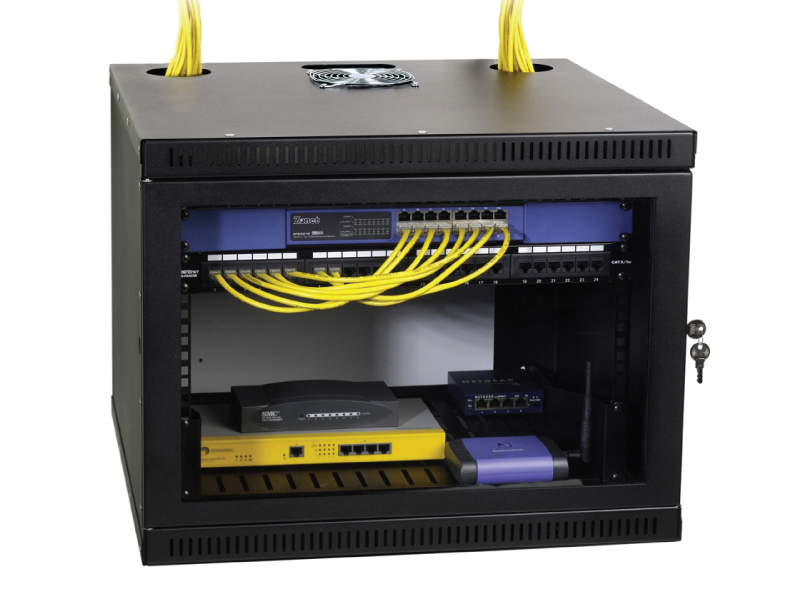 Once secured, install your rackmount equipment with the use of rack screws and cage nuts (not included). The removable locking front door features a smoked gray acrylic window for easy viewing and monitoring of installed equipment. 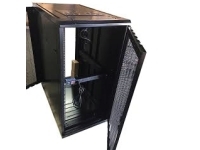 The open back design allows already terminated equipment such as patch panels and switches to be fed through the back of the cabinet, saving your installers hours of time re-terminating cables. 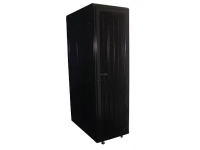 The large open space is also perfect for applications with an immense amount of cabling which can be fed through the wall directly into the cabinet. 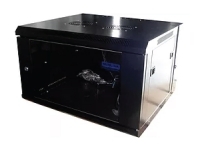 Multiple laser knockouts are featured on the top and bottom of the enclosure, providing a variety of cable entrance points. 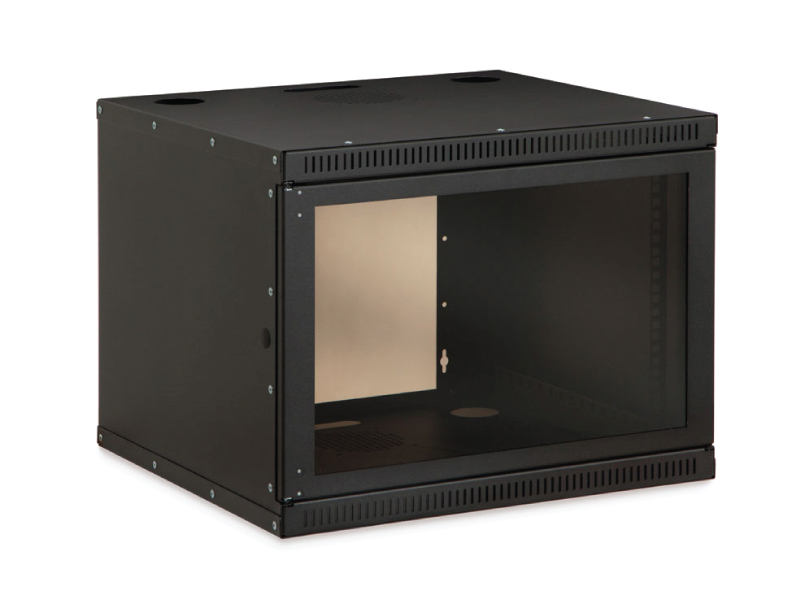 Optional fan kits can be installed in the top and/or the bottom of the security cabinet to help keep equipment from overheating.